Before she met Dragos, half-human half-wyr Pia Giovanni was alone and on the run. Now, she's mated, pregnant and heading south to repair the Wyr's frayed relationship with the Elves. Being separated from Dragos is painful, but for the good of the Wyr demesne they need to figure out how to be partners, in more places than just the bedroom. In New York to preside over the Sentinel Games, Dragos is worried about his mate, but knows that finding two replacement sentinels is essential to show the rest of the Elder Races just how strong and brutal the Wyr demesne can be. But as the games heat up, Pia's negotiations with the Elves take a turn for the dangerous, straining her bond with Dragos and threatening everything they hold dear. Once the story actually began to move forward with the plot I loved it. Dragos was well, Dragos! 100% in charge, Alpha Male, not apologizing for it and loving his mate with everything he's got! He's continues to be as protective, but we get to see that their relationship has grown and deepend in the time that has passed. They have come to know and understand that they there is no magic solution to their differences, so they have to learn how to better communicate with each other, meet each other half way and be patient! (wow what a concept, right? LOL) Pia is his sense of compassion and reason while Dragos is her strength and safety. They honestly balance each other out. It was great to see them work things out and depend on each other in this manner. The Elves! That's where the action comes in. As the synopsis said, Pia is on a mission to smooth things over between the Elves and Wyrs and things don't go as 'planned' (when do they ever?). Its not what you think. I will tell you that the Elves hold no ill intention towards Pia, in fact, they all like her, so when I say that its not what you think, the Elves she goes to try to work things out with are not the ones who create the danger. 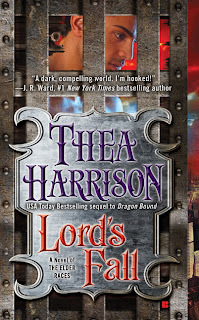 I liked that Thea (Author) added a bit of a twist there, I just wished she would have provided a tiny bit more information about "the evil" throughout the book vs. towards the end of the climatic scene. Speaking of the climatic scene, it sort of ended too quickly and quietly. There was this huge hoopla and the "big bad" and then it ended (sorry, trying not to give you spoilers). The book itself doesn't end but the "big bad" does. I mentioned some new characters and Eva is my favorite newbie! She's the Alpha and head of security for Pia. She's sassy, sarcastic and in charge! Of course she butts heads with Pia! They work things out (which is part of the fun) though. The entire security team was great and I'm hoping to see more of them. Oh, seems like Thea may have plans for a spinoff series within the Elder Races or perhaps has set things up for future novellas. I say this due to some of the characters in previous books all moving to a particular city and that's all I'm saying! Sophie is back and I was extremely glad! She does a fantastic job with the different characters, tones, voices and well, she rocks! She brings the characters to life! I loved her interpretation of Eva, head of Pia's security team! I loved it! 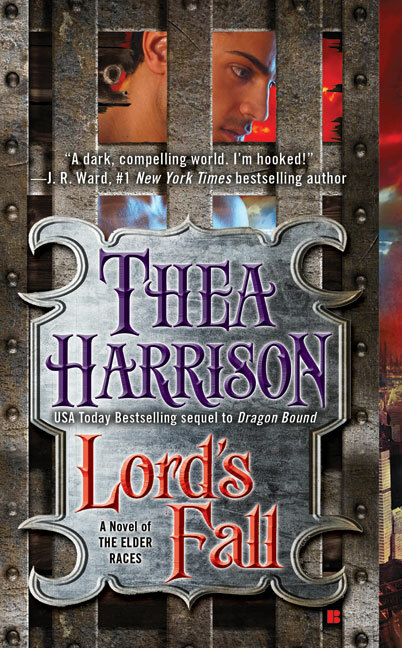 I love the series, the characters, Thea's writing style and her creativeness. When I found out that there would be more Dragos and Pia, I was extremely happy. Yeah it was a bit slow in the beginning but over all I'm not disappointed. I love Dragon Bound. I've only made it to the second book so far just because I've been busy though. I love that this book goes back to the two who started it all. Jeesh, I didn't even know that this book existed. I need to get on the ball! That's one of the reasons why I LOVE audio books! I'm able to multi-task!